Our team conducts elaborate inspection for boiler and controls. They also perform general boiler maintenance and servicing regularly. Our professional site teams are trained to undertake all major boiler repairs, boiler re-tubes, boiler cleaning, valve overhauls, stoker conversions, on-site fabrication and emergency boiler repairs. We offer a variety of boilers services in Edinburgh. We are specialist in repairing boilers for both private homes and commercial property. Our packages are tailored for your convenience. In Musselburgh, Dalkeith, Livingston, Leith and Blackford, our emergency boiler repair services are available each day of the week, for 24 hours. Boiler servicing should be conducted annually if not regularly. There are several benefits that come with regular servicing of boilers. 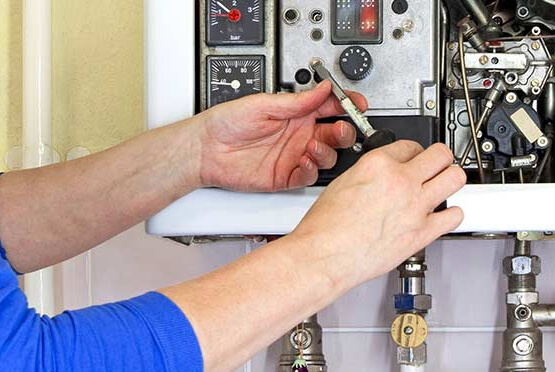 Servicing ensures that the boiler operates optimally, safely and efficiently. It also mitigates the possibility of total breakdown of the apparatus. Boilers can be a source of danger if regular inspection is not conducted by an expert. Breakdown can lead to explosion. This may cause damage to property and death. Save your money and time. Contact us today for durable services. Our boiler engineers are highly trained and certified by relevant regulatory bodies. They are skilled in handling any boiler complications within the shortest time possible. They have profound field experience in executing sophisticated operations like: fixing gas and boiler leaks, central heating repairs, boiler installation, repairs, replacement and gas central heating installation. They strictly adhere to the standards set by manufactures and guidelines set by regulatory bodies. We have invested heavily in technology. This has enabled us to keep up with time and the ever growing complexity of installing and maintain boilers. We use sophisticated equipments to carry out all our boiler operations. We pinpoint leakages and detect faults in the system with the greatest of ease. Our team is drilled and seasoned to conduct fulsome boiler repair operations within the set time. Do not risk your health and wealth by improvising. Come to us for professional boiler services. Our customer contact desk is open each day for 24 hours. We receive all your emergencies and advice you accordingly. The call center personnel are courteous, well informed and ready to listen to your every concern. They advise you on our service charges, the duration it takes to complete the whole operation and the benefits you stand to gain by working with us. Eco Efficient Edinburgh gives you value for your money. We have no hidden charges and all our dealings are transparent. Our field experience span over a decade. We have conducted thousands of boiler repair operations with amazing success. We get many referrals due to the competency and due diligence we demonstrate in all our dealings. Do you have a boiler repair emergency? Suffer no more. Come to us.